Enjoy waking up every morning with a breathtaking view of Braddock Cove, watching boats cruise through or even some natural wildlife. The living room features plenty of seating for guests, and the kitchen is fully equipped with plenty of countertop space. 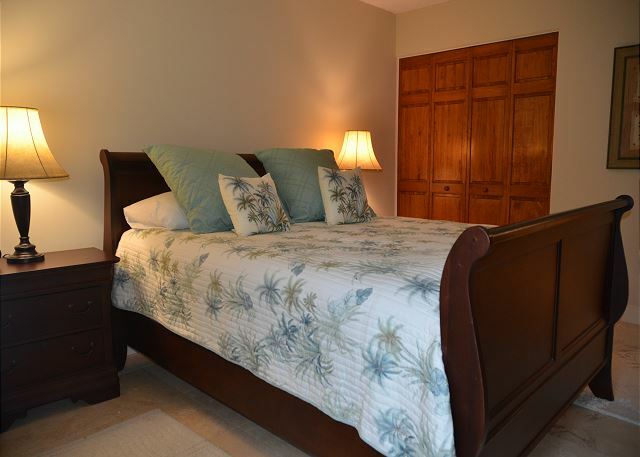 The master bedroom is furnished with a queen size bed and an en-suite bathroom. The guest bedroom is furnished with a queen size bed and an en-suite bathroom. This villa features that ideal coastal feel, and is a short walk away from the beach access. This villa is also right near all the excitement that South Beach Marina Village has to offer.